I honestly have no idea what the role of this piece of equipment at the mine served but needless to say, it’s a massive hunk of machinery. When most of placer gold dried up in the early 1860s, miners started to dig up the hard rock deposits, this form of extraction went on until the 1920s when the town of Central City and it’s surrounding mines and towns became, for the most part, abandoned. It has the aspect of being a cylindrical grinder. But of course I could be totally wrong. The presence of the light ray is awesome. I have been looking for a rock polisher. That should do the trick. It is either a rod mill or a ball mill depending on the manganese steel elements used inside it to grind small ore particles into fine sand for further processing. 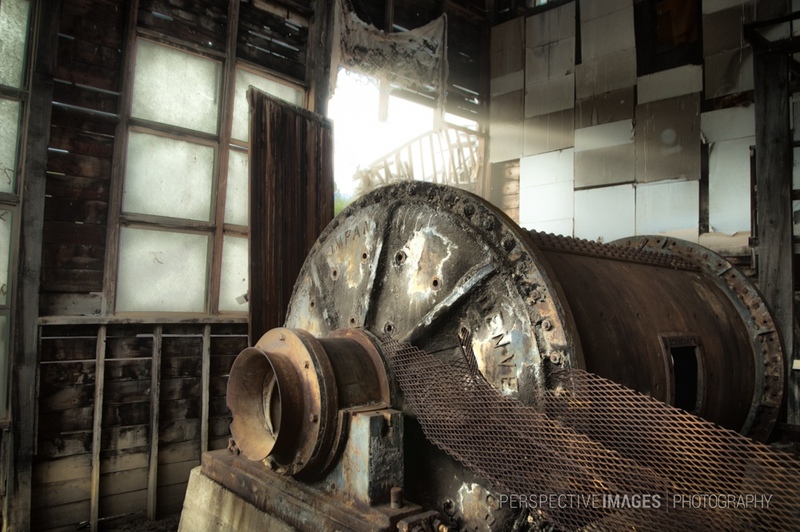 These machines replaced their much less efficient stamp mill predecessors that allowed much of the ore value to end up in the mill tailings. Can’t help responding, I’m a retired mining engineer.